58 Francis Smith was borne July the 24th 1687 John Smith Feabuary the 3 1672 Anthony Smith February the 7th 1680 To take out spots of grease or oyl. Take bones of sheeps feet burn them almost to ashes. then [bruise?] 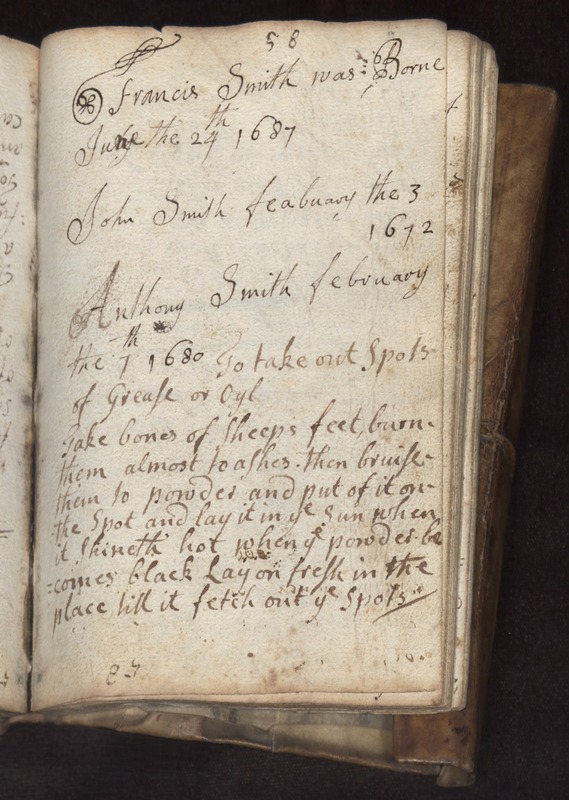 them to powder and put of it on the spot and lay it in the sun when it shineth hot when ye powder becomes black lay on fresh in the place till it fetch out ye spots.